Many people don&apos;t realize that Roe v. Wadelegalized abortion through all nine months of pregnancy. 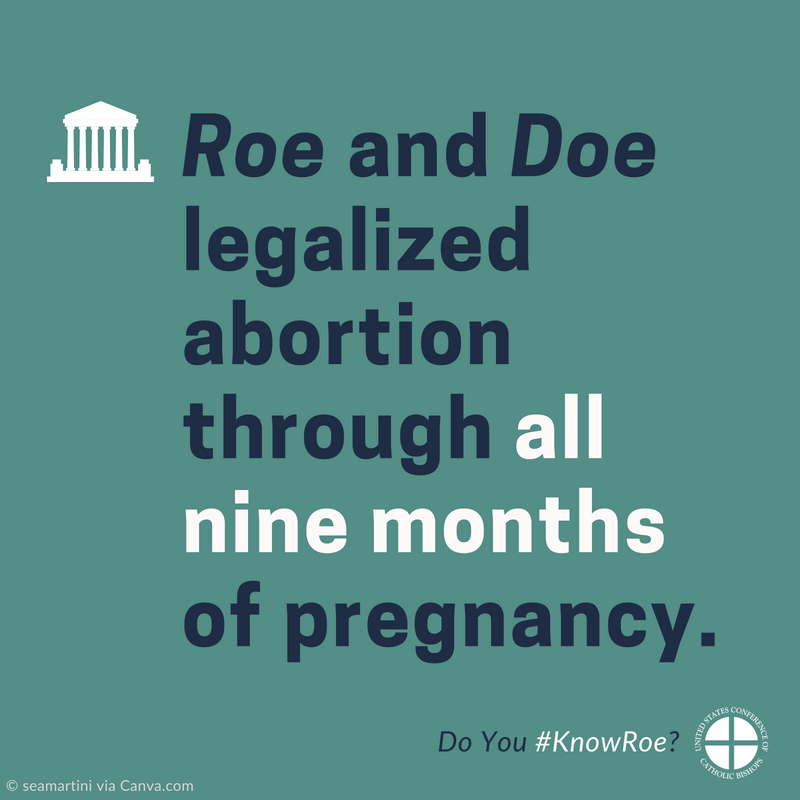 Roe says abortions may not be restricted at all during the first three months and in the second three months may be regulated only for the mother&apos;s health. After "viability" Roe allows abortion to be prohibited but must make an exception for the woman&apos;s life or health. But in Roe&apos;s companion case, Doe v. Bolton, the Court defined "health" to include "all factors—physical, emotional, psychological, familial, and the woman&apos;s age—relevant to the well-being" of the mother. In most states, that is broad enough to permit virtually any abortion in the seventh, eighth, or ninth months of pregnancy5 if any of these reasons is invoked.